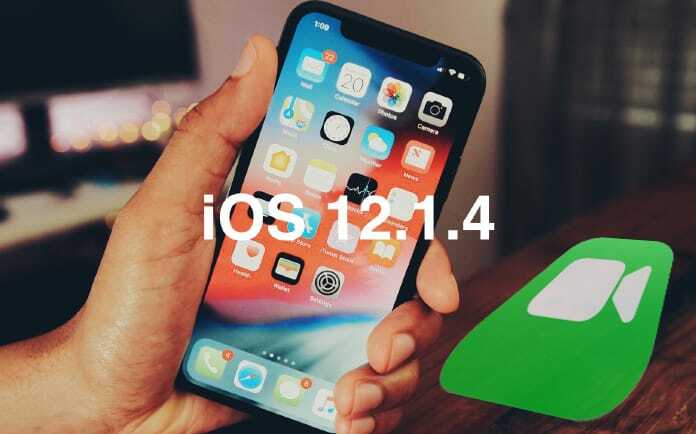 iOS device owners can now download IPSW links for iOS 12.1.4 as well as the OTA update – it comes with the FaceTime bug patch for iPad and iPhone. Read on to learn more. When you expected iOS 12.2 to be the next version of Apple’s platform to arrive for the public, enters Apple with a version of its own, and it’s a spanner when you see the release notes of the latest update called iOS 12.1.4. The company has been pushing surprising yet critical updates in the past few months to comply with rulings and to patch multiple issues affecting device owners. 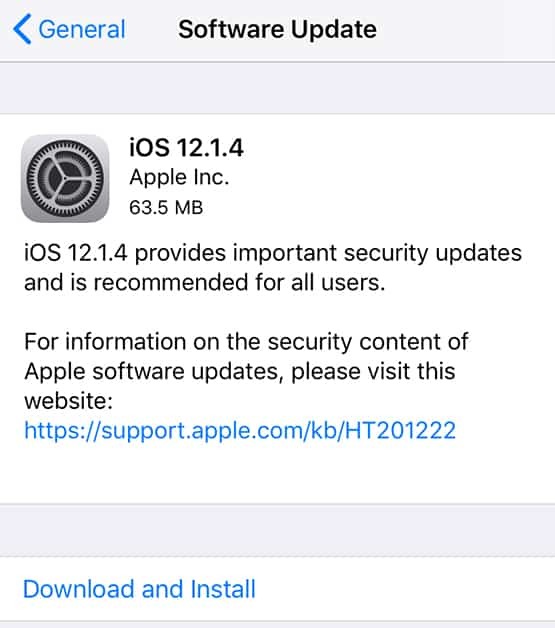 The new iOS 12.1.4 falls under the second umbrella as it carries a patch fix for the looming Group FaceTime bug which has been in the news in recent times. Mac, iPad, and iPhone owners also appreciated when Apple introduced the Group FaceTime functionality with 32 participants in each call. However, the later discovered an important bug which could force the calls from FaceTime on people who didn’t accept the call and would give the caller access to the video and audio streams of an iDevice. Even without any adverse intentions, this would mean whoever is making the call would be able to view and hear anything that was happening near the iDevice, its front-facing FaceTime camera, and the microphone. We don’t have to say anything to confirm that this is embarrassing for the company, and it was reported to them before it went viral as a news, for all unwanted reasons. Though it’s not going to be a huge PR problem, Apple did the right thing by releasing a firmware update to fix the issue – and the serverside was already deactivated as soon as the public came to know about it. But for a firm that is popular for the privacy and security of its firmware, the issue could have been resolved quickly without garnering public attention. Owners of a compatible iPod touch, iPhone or iPad can get this new iOS 12.1.4 firmware release straight away to fix the Group FaceTime bug. It can be downloaded as an OTA (over-the-air) update by going to Settings – General – Software Update or as a IPSW download who want to do new installations through iTunes.